It’s probably no surprise to long term readers that I picked this one. I’ve been a fan of Lawrence’s work for years, and this, set in a new setting, with a new protagonist, is a very strong entry in his oeuvre. Nona Grey is a young girl, brought to a nunnery for an education in, amongst other things, magic and murder. 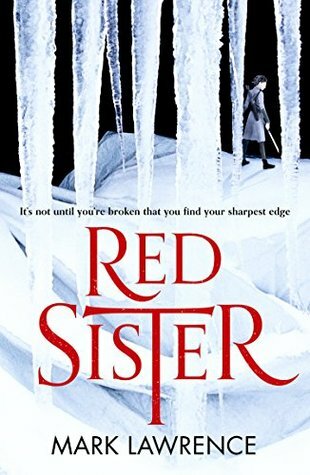 In a setting glimmering with nifty ideas – murderous nuns, reshaped worlds, succession struggles, to name a few – it’s Nona’s relationship with her new Sisters which really sells this to me. If she springs into action, it’s to help her friends, struggling against her own emotional difficulties. 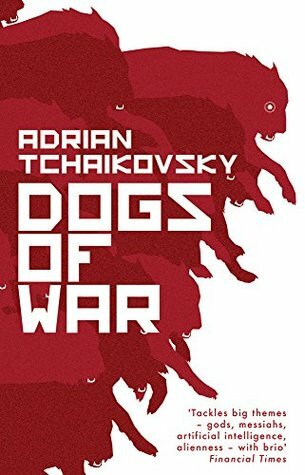 This is a smart book, which demands due attention from the reader, but repays it with a high stakes, high reward narrative, with a brilliant blend of politics, battles, and emotional entanglement. Another author whose books turn up here regularly, Williams has started something innovative in her new series. It’s an ensemble piece, which includes fire-throwing witches, blood-drinking elves, and some genuinely unpleasant antagonists. The setting, a world broken by and recovering from relentless assaults from an implacable enemy, is an excellent backdrop to some captivating characters and a tightly crafted plot. The idea fo a world broken up by its saviours is one which has strong emotional resonance, and that's backed up by some sparkling characterisation of less than perfect characters. It's sharply observed, emotionally compelling fantasy, which explores the myths people tell themselves, and the importance of family and frienship, even if those lead into dark places. Also, it has giant bats. Which people ride. What’s not to love? 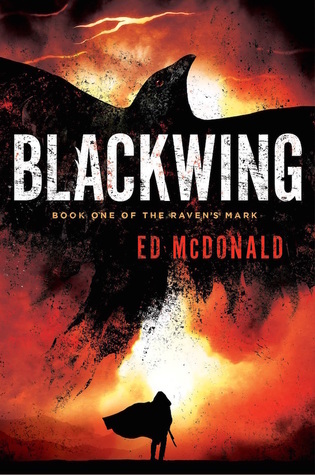 Blackwing, McDonald’s debut, is, to steal a word, grim. To steal another, it’s a gem – albeit one soaked in carmine. The setting is focused around the aptly named Misery, a blasted waste that serves as a No Mans Land between the empires of two sets of supernatural entities. The story focuses on Galharrow, a bounty hunter, a man willing to do pretty much anything to achieve his goals. Galharrow evokes some of the protagonists of fities noir for me – hiding a thoughtful mind behind an uncaring façade which, honestly, may or may not be a façade. Galharrow finds himself hip deep in an investigation with very worrying implications and potentially fatal consequences. The plot is full of intriguing twists and turns, with some seriously explosive battles in between. This one may be worth picking up for the dialogue alone – Galharrow’s world weary cynicism is almost never disappointed, and he’s great to read alongside. The Seven closes out Newman’s “The Vagrant” series with a bang. Well, several, actually. 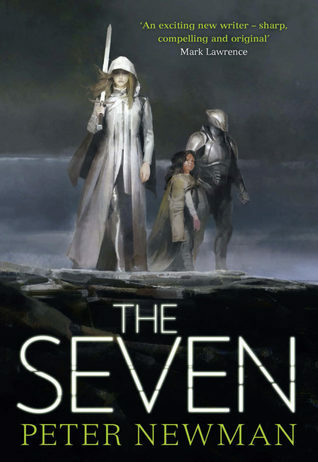 We get more backstory on the Seven, guardians of an empire which seems eternal, if sclerotic. We get to see more of the relationship between Vesper and her father, which remains one of the most honest, emotionally affecting relationships in fiction. Importantly, this is a book which is prepared to look at the happy ending, and then show us what happens after that, to explore and to revel in that. There’s a feeling of hope wrapped around the core of the story, and that helps make the conflicts between a diverse, broken humanity and the uniform forces of their opposition feel real. There’s goats, of course, and moments of quiet humour mixed in with those of desperation. There’s also magic swords, betrayals, victories – and families, coming together and falling apart. As a conclusion, it promises a lot and, to my eye, delivers with a nuanced, complex story. 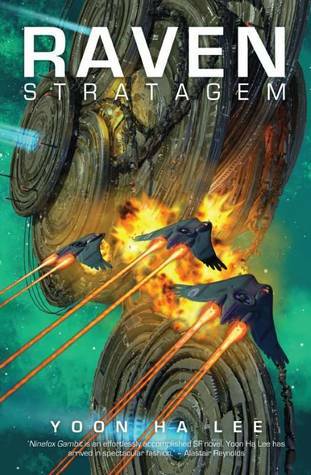 The sequel to the explosive Ninefox Gambit, The Raven Stratagem takes place in the same deeply weird science-ficton world. Here, the consensual nature of reality can be shaped and broken by numbers, by performing certain rituals on certain days, not on others. Here, society is stratified, with different houses holding different positions in a sprawling multi-system hierarchy. Here, enemies are quietly gathering, ready to rip holes in a society which is literally sacrificing its citizens to maintain conceptual stability. The whole universe is marvellous – plausibly petty oligarchs are mixed in with unknowable technology and space battles are decided by equations. It’s dazzlingly innovative stuff. Then we get the protagonist, Shuos Jedao, the Empire’s greatest tactician. They also happen to be dead. Also quite possibly insane. With an agenda which seems to span generations, Jedao is charming, witty, and emotionally present – with hidden edges on which an observer might cut themselves. I kept turning pages to see what they’d do next, and I have to admit, I was never disappointed. This one is sci-fi at its best, asking big questions whilst giving us great characters in an interesting setting. 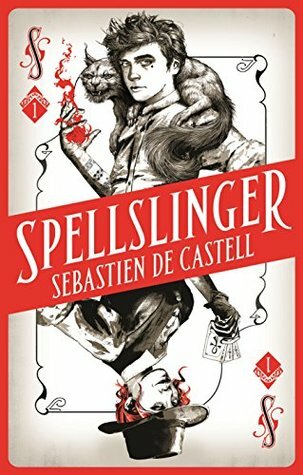 I have a lot of love for Spellslinger. A fantasy western (of sorts), blended with a coming of age tale. Kellen, the protagonist has just the right amount of naivety mixed in with being a bit of a smart arse. By the standards of his society he’s weak, a liability, not worth keeping alive. Kellen, of course, doesn’t really see it that way. The setting, a society built around magic, is interesting enough – insular and proud, rigidly unwilling to explore its own shortcomings. But watching Kellen grow up, a little, and realise some of his potential – to harm or help others – was what kept me coming back. That and the brilliant banter between Kellen and his ‘partners’, which always has the potential to wring the heart or generate a belly laugh, or (often_ both at the same time. It’s got gunslingers, mages and revolution – what more needs to be said? Smith-Spark’s debut is a painfully brilliant read. It explores themes of power and violence, and then wraps them up in questions about control and personal integrity. It’s also a story about civilisations – making and breaking them. 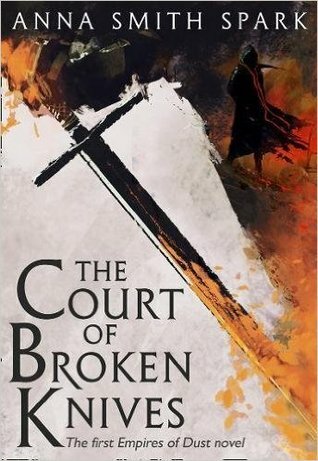 There’s byzantine court politics, including assassination attempts, betrayal, scheming and the odd bit of thuggery. There’s battles which evoke screams and blood, the tearing down of walls between men at the same time that they carve each other apart. There’s reflections on religion, and on sustaining that religion through death. It’s a multifaceted text, which I get something new out of each time. It also has a lot of heart (possibly because it ripped it from the chest of the reader) – the raw emotional intensity pours off the page. 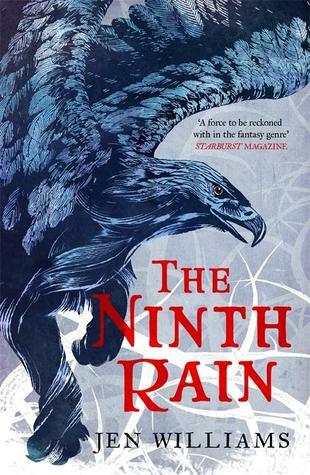 This is whip-smart fantasy, engaging, cunningly plotted, and bloody. I’m a big fan of Tchaikovsky’s work, and that trend continues here. This book explores a lot of big questions, looking through the eyes of Rex. Rex is a dog – sort of. He’s a dog given intelligence and bred for war. He’s a dog with cannons strapped to his sides, and a behavioural reinforcement chip in his brain. He’s a dog that will always follow orders, even if they’re the wrong ones. Rex acts as our eyes, in a future where corporations are building deniable living weapons. The story asks questions about sentience, about how we decide who and what makes up a person. It examines the future of AI, and the ethics of war. It does all that, and it’s also an absolutely cracking read. Rex’s journey starts in the trenches, following orders and destroying the enemies of his Master, in fast-paced gun-battles which seem as familiar as they do strange. As the story heats up, it’s not afraid to ask the reader to think on bigger questions of morality and self, within a fast-paced sci-fi wrapper. It’s a smart, occasionally painful, captivating read. The latest entry in Max Gladstone’s wonderfully weird Craft sequence is an unadulterated delight. In a world where soulstuff is used as currency, and mages run corporations, Kai Pohala arrives in Agdal Lex to do a little business, and revisit her past. 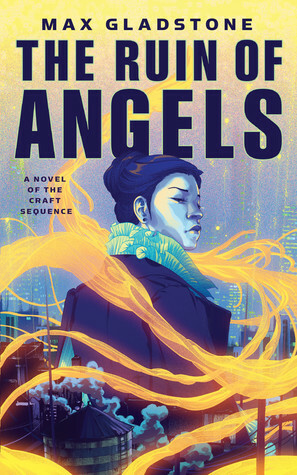 That Agdal Lex is a city built on the bones of another, that it’s possible to dive from the city streets into a frozen, war-torn moment of that other world – to plunder or preserve the past, that the city authorities discourage this with violence and social conditioning – well, that’s all by the by. Except, of course, that it isn’t. The characters are really the heart of this world – quick thinking fast talkers, mages with, if not hearts of gold, at least aluminium, and adventurers plumbing the depths of the city for the adrenaline, and for the price artifacts will command – each comes off the page fully formed, and their emotional entanglements feel honestly, heartbreakingly human. This is a book which explores both the human condition and the societies which we’ve built to get where we are – and adds truth, romance and explosions over the top. It’s an absolutely cracking read (and one I must do a full review of next year!). 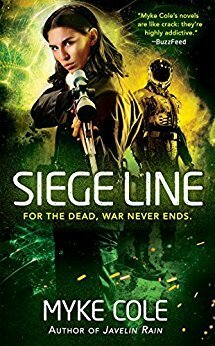 The finale of a trilogy, Siege Line has all the qualities which make Cole’s works so much fun. It’s a fast-paced, hard hitting thriller, with some interesting supernatural elements. The combat sequences have the patina of authenticity, which always helps when the protagonist’s opponents are wights with a penchant for human flesh. Jim Schweitzer, the protagonist of the first two books, is as charming as ever; living in his own corpse has to be hard on a guy, but the love and loyalty he feels for his family is something you can feel through the words on the page; he’s driven and focused, and a lot of fun to read. He’s joined by a marvellous ensemble cast, struggling to defeat a relentless antagonist before time runs out. This blend of military urban fantasy makes up a very tasty brew indeed. There were. of course, other abbsolutely storming reads this year; these are just a sample of the tid of excellent fiction we've been inundated with. That said, f you want to get a flavour of SF&F in 2017, these books are probably a good place to start. Elysium Fire is the second in Alastair Reynold’s ‘Prefect Dreyfus’ sequence – itself part of his ‘Revelation Space’ universe. It’s been ten years since the first of the sequence introduced us to Dreyfus, in a stellar blend of sci-fi and noir, so I was quite excited to see where this sequel took us. Where it takes us first of all, is the Glitter Band, an orbital ring of high-tech habitats orbiting the planet Yellowstone. The Glitter Band is perhaps humanity’s finest achievement. It’s effectively a post-scarcity economy, with no starving masses yearning to be free. In part, this is because of its unique political system. Each citizen of the Band is able to vote on issues in real time, using neural implants. It’s a society that is run, basically, by the people within it. Each habitat in the Band is able to set up its own society, and its own rules. Some of these societies are downright odd – like the habitats where everyone is perpetually wired into virtual reality with their body on ice, or where all the citizens have entered a voluntary coma. Others are considerably more toxic – “voluntary tyrannies” for example. But the one core right of the Glitter Band is the vote. No matter your society, you can vote. It’s at the core of the Band’s social structure. When there are irregularities in the voting, that’s when the Prefects are called in. They’re what passes for law enforcement in a world which has largely eschewed crime. Negotiators, a quick reaction force, investigators, analysts – the Prefects do it all, with limited resources. Following the events of the previous book, which involved considerable loss of life and property damage, they find their institution eyed with increasing scepticism by the citizenry. There’s an antiauthoritarian trend here, and sparks of demagoguery and secession movements are starting to fly. The Band is a delicate structure, always dancing on a tightrope between the needs of the citizenry, the increasingly constrained and beleaguered authority of the Prefects, and the risk of catastrophic incidents in a world which is incredibly tightly coupled. It’s an entirely plausible, complicated, sharply realised society, one which showcases its complexity and provides a living, breathing world for the characters to work within. Speaking of characters. Inspector Dreyfus, unsurprisingly, returns for this book. The duty-bound inspector was always a joy to read. He has a clear affection for the high-tech utopia around him, and an awareness of its vulnerabilities. That’s matched with a similar incisiveness into both his own condition and those of his subordinates and suspects. Dreyfus is, of course, troubled – still carrying the physical and mental scars from the previous emergency, and from decisions he took decades earlier. Here is a man with the capacity to cut through the wood of false trails one so sharp he might actually cut himself.It’s nice to see that he’s as gruff with his team as ever, a layer sat over a deeper affection. Dreyfus is backed by Sparver and Ng, the duo who served as his team in the previous book. Sparver is perhaps the more emotional, the one more prone to action over analysis. Where Dreyfus navigates through the wood to find the trees, Sparver is probably off somewhere arranging for a chainsaw delivery. Ng is the more technical, quieter, less authoritative, at least within the team. Like Sparver, she’s insightful, and a wizard with technology – but more prone to analysis, and less prone to reach for a weapon. Between them, the hyper-pig and the tech make a great backup for Dreyfus, a man in whom they’re prepared to invest their trust. Together, they make a compelling triad – laced with flaws, as all families are, but with an emotional depth that resonates off the page. They’re surrounded by a cast of other characters of course, from the terrifyingly intelligent Jane Aumonier, head of the Prefects, for whom Dreyfus is an excellent button-man, and the more martial Prefects trying to run the organisation, to stern faced, damaged orbital construction workers, and open-faced, virulently persuasive demagogues. It’s a pleasure to seem some familiar faces in the background, their faces and views tracking from the previous book. This new emergency carries new heroes and villains of course, though the cunningly crafted narrative often left me wondering which was which. From a plot standpoint – well, this is a mystery novel, so no spoilers. There are mysterious deaths occurring throughout the Glitter Band, and their pace appears to be escalating. Dreyfus and his team have to track down the cause, before even more people die. There’s a lot to love in the plot – the investigation is snappily paced, slowing down to give you a view on Dreyfus’s thoughts, and the reactions of those around him, letting you draw your conclusions alongside the Prefects; but it’s quite happy to ramp up for some vividly drawn and snappily paced action scenes, which wrap around the emotional core of the story and keep the stakes high and the adrenaline going. This is a story willing to look at social change and consequences in the micro and macro levels, to explore the ways that new technologies would impact people – but also wants to show you that the participants are, at heart, people. The central mystery is thoughtfully crafted and left me scratching my head trying to work it out as I went along; the world, as always with Reynolds, is beautifully drawn, and the characters seem to stroll off the page, bringing wry remarks and the streets of the Glitter Band with them. 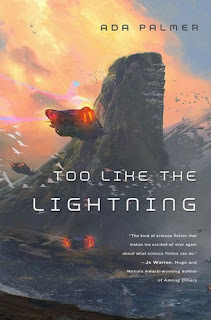 If you’re new to Reyonold’s work, I’d say go back and start with the first in this series (“The Prefect”/”Aurora Rising”) – there’s some back story which it’s worth knowing before you take the plunge here. 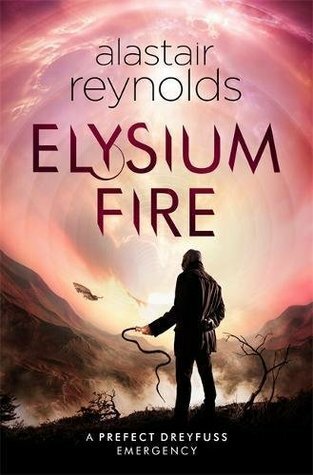 But as a returning reader, Reynolds has brough back Dreyfus and the Glitter Band in high style; if you’re looking for a cracking sci-fi mystery, pick this one up.